Amazing, yet demanding racecourse. American Mikaela Shiffrin proved in these conditions she is in a league of her own during this Olympic season. 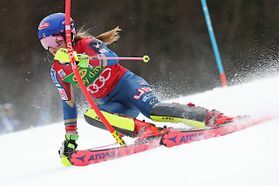 She had already swept away her rivals in first GS run and showed no mercy in slalom race either. Frida Hansdotter and Wendy Holdener were left behind for less than 2s, only six racers were led by less than 3 seconds. Racers outside top ranking group aim to be led by not more than 5s. 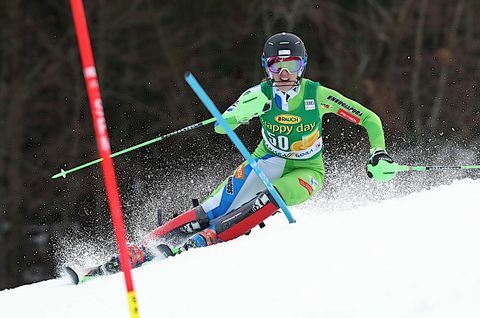 Slovenian Klara Livk with bib 50 managed to achieve that, while Maruša Ferk qualified for finals. Racers kept complimenting the organizers: »Racecourse is amazing! The atmosphere is great!« Podkoren attracted a crowd of 3.000 cheering fans.